Hi my name is Edward Piwowarczyk and I'm an ex miner from Lea hall Staffordshire. We, as a group, are campaigning to get the 50/50 surplus split of the mineworkers pension renegotiated and we are trying to contact as many ex Miner's as possible for support. We have over 5000 members and a number of labour members of parliament also some members of the house of Lord's Willing to support our campaign. 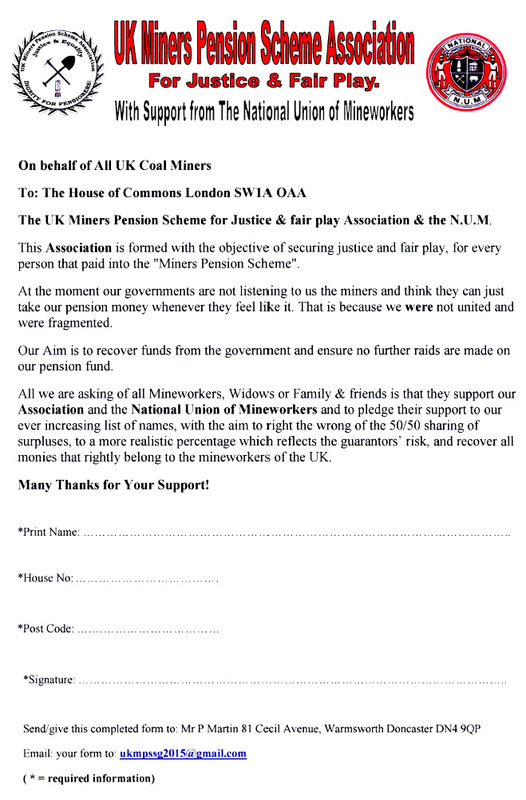 We would be greatful if you and your members would join us to put right a wrong to all miner's pension.